What are the newest creations from the winners of last year’s Her Universe Fashion Show? 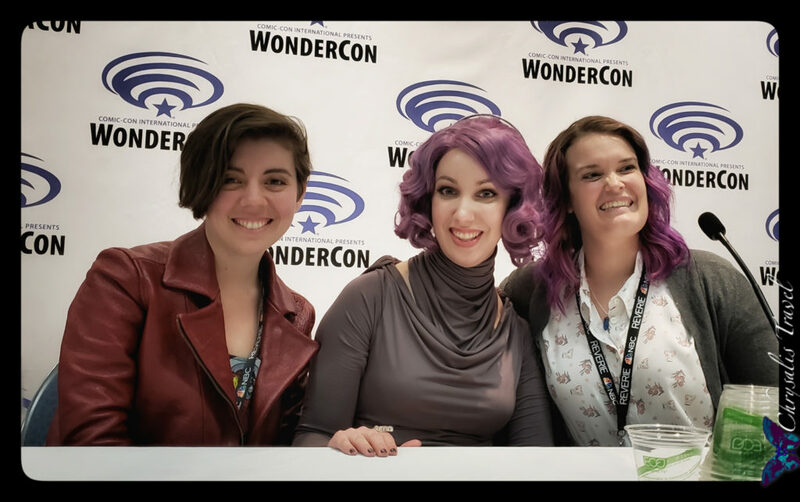 We gathered at WonderCon 2018 to find out. 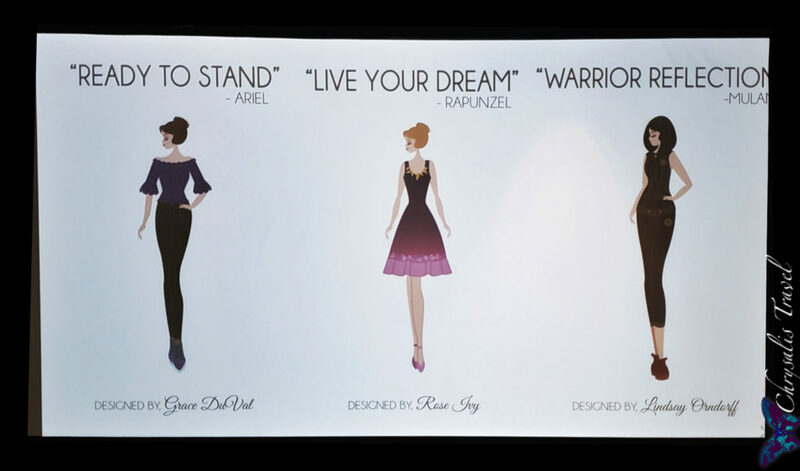 For the first time, they announced the theme of the new fashion line: Disney Princesses, to be sold exclusively at Hot Topic stores. It was worth the wait. But first, a little background. 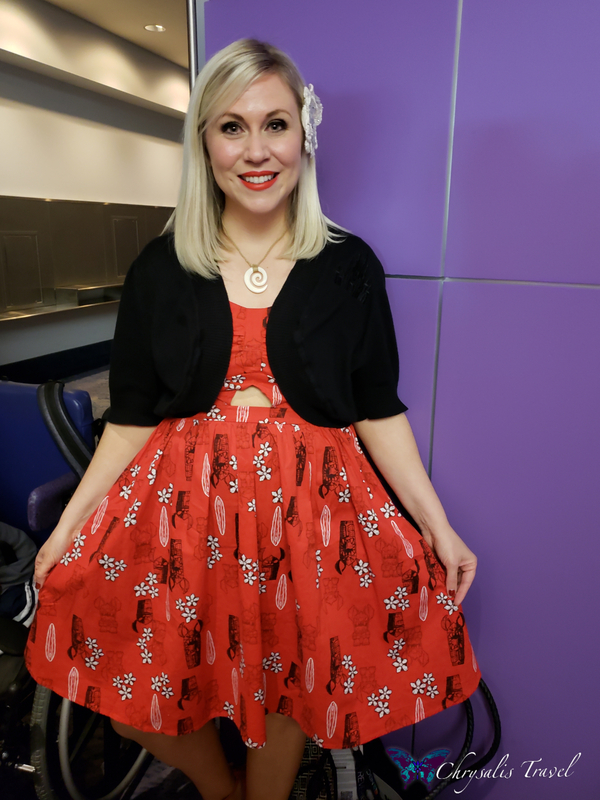 To say that Ashley Eckstein – founder of Her Universe – has a devoted fan following is an understatement. This fangirl-turned-entrepreneur has worked tirelessly to be inclusive. And generate opportunities for others. 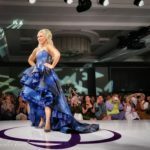 From creating endless wardrobe options for fangirls around the world, to giving designers a chance to bring their dreams from ‘runway to retail’ – Ashley Eckstein has justly earned her massive fanbase. And now she gets to share her story. Ashley has worked tirelessly to make her dreams come true. From actress to self-made entrepreneur – she could not have imagined that she would be working with Disney and Hot Topic, while helping others along the way. She created the Her Universe Fashion Show – now an annual event at San Diego Comic-Con (SDCC) – to give designers a platform to showcase their intricate cosplay designs. “If you can dream it, you can do it,” is what she learned from Disney. And reality grew to be even bigger than the dream. Ashley just completed her book: It’s Your Universe – You Have the Power to Make it Happen, releasing on May 8, 2018. 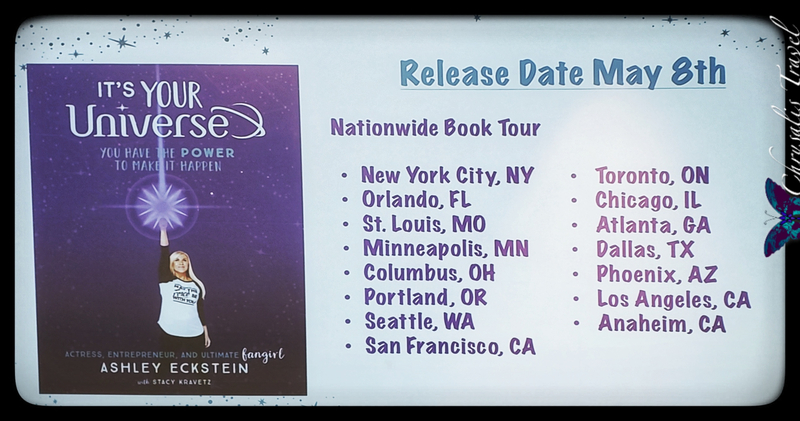 She also announced her nationwide book signing tour, spanning cities from Orlando to Anaheim. After the huge success of Her Universe, guys felt a little left out of the fan-fashion trend. Now, Ashley has included everyone in the family with Our Universe. 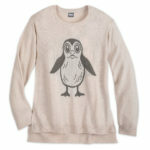 This newest line features lifestyle clothing in fun themes. 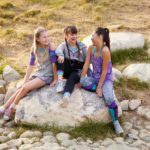 At the Disney Store launch last month, Our Universe featured activewear for kids and tweens with Black Panther and Princess themes. 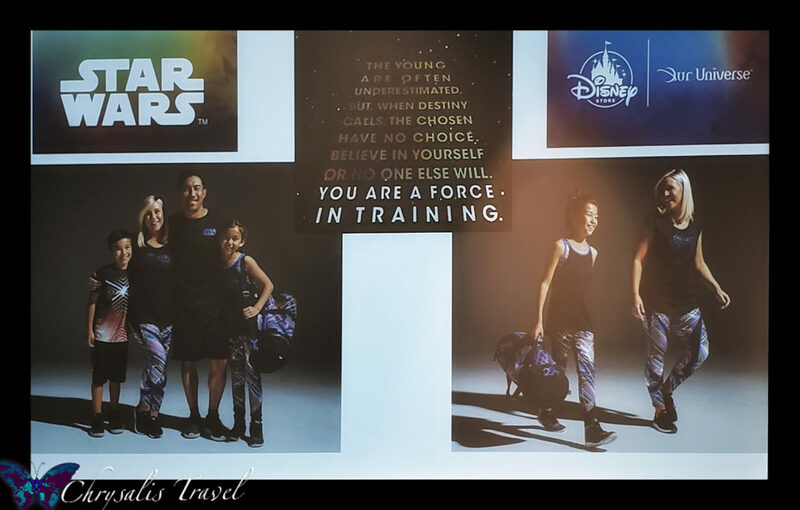 Pictured below are new Star Wars lightsaber-themed activewear pieces for the whole family. (Although, “this is not my family,” Ashley remarks with a smile). Behind this Our Universe Star Wars line is the mantra: “The Young are often underestimated. But when destiny calls, the chosen have no choice. Believe in yourself or no one else will. You are a Force in training.” ~ quotes from Star Wars: Clone Wars. We have also seen a few Our Universe men’s items at Hot Topic-owned Box Lunch stores. Her Universe introduced their Disney tiki-inspired line, just released on March 24th at Hot Topic stores and online. 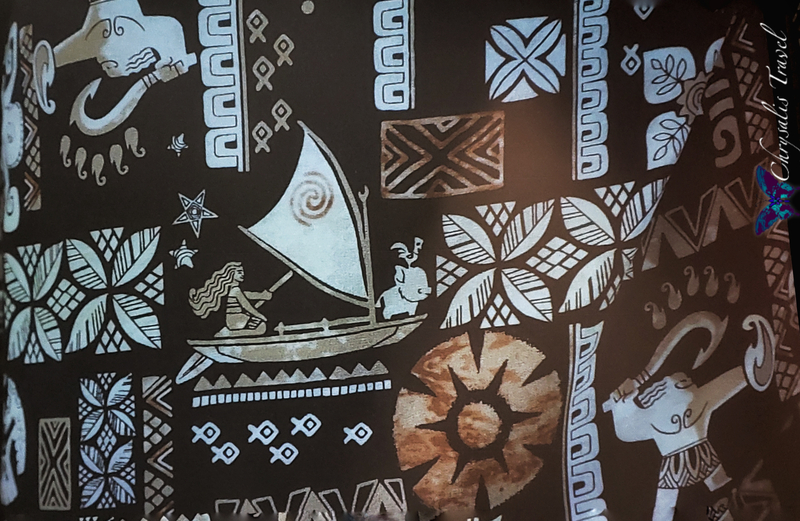 These come in four prints: Moana, Lilo and Stitch, Mickey and Minnie, and Peter Pan’s Mermaid Lagoon. 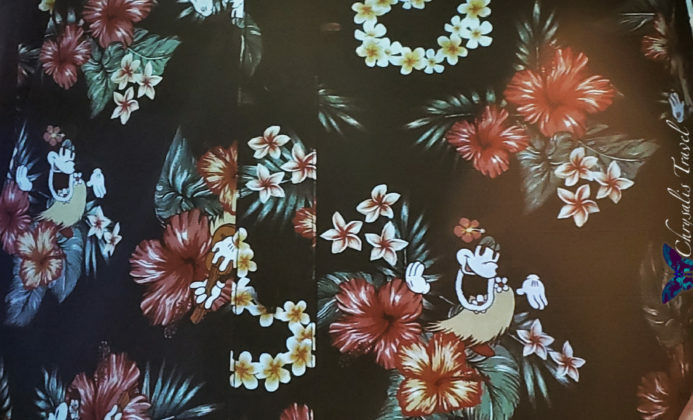 Ashley is wearing the red Lilo and Stitch tiki dress in her photo above. For the first time, the collection will include coordinating men’s Our Universe aloha wear, as well as matching shoes, handbags, and accessories! Ashley admitted that she squealed with joy when she saw the Lilo and Stitch heels. Are you excited about Avengers Infinity War? I can’t imagine combining that many characters from the Marvel Cinematic Universe all together in one film. We’ll finally see what they’ve been teasing with each of the Infinity Stones, and Thanos’ gauntlet. Well, designing a fashion line around Avengers Infinity War was difficult, because of the very fact that there are “thirty relevant characters.” Someone will be disappointed that their favorite character was not represented. That is why the collection is designed around each of the Infinity Stones, and not around individual characters. Here are the six Infinity Stone colors, and their meanings. And to tie them all together: the gold (reversible) jacket representing Thanos’ gauntlet. 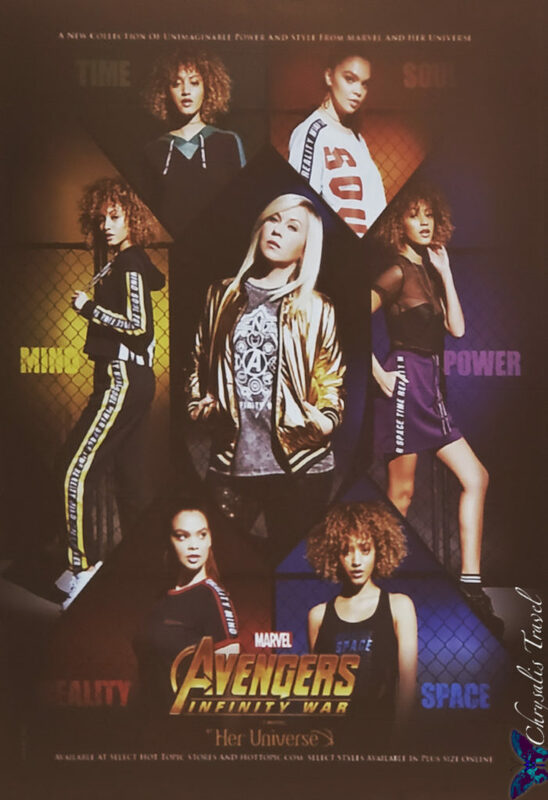 Ashley is also wearing an Avengers logo tee that has symbols of the individual characters. Well, Grace Duval, Rose Ivy, and Lindsay Orndorff (from left) have been hard at work creating not just fashions, but also accessories in a head-to-toe Princess line for Hot Topic. 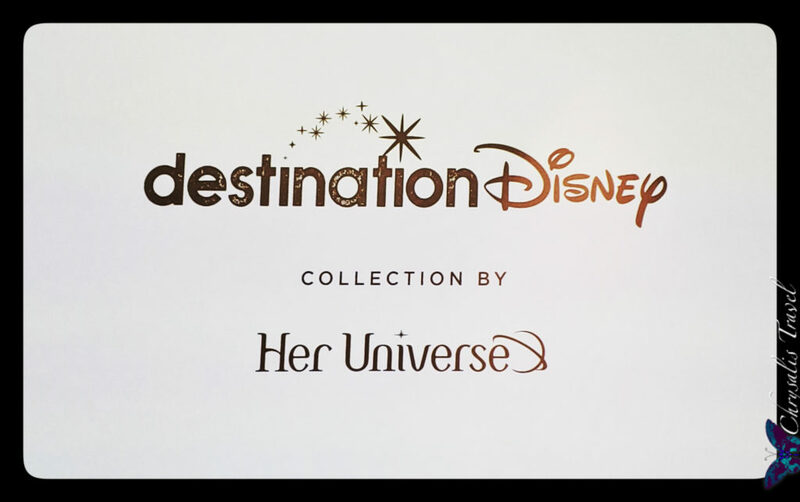 The new line is titled “destination Disney.” As Ed Labay (VP GMM, Hot Topic) explained, the Disney Princesses have a deep emotional connection for many people… that ‘ahhh’ factor. They take you back to a special place – a destination where you want to go. Each of the Fashion Show winners chose two Princesses. The panel revealed a concept drawing (by artist Ashley Taylor) of three creations. Designers then described their projects, although no other visuals were provided. Ashley introduced us to Symantha Perrera (originally from Think Geek), lead fashion designer at Her Universe / Hot Topic. Have you fallen in love with the Disney Dress Shop Collection at the Disney Parks? Thank Symantha. 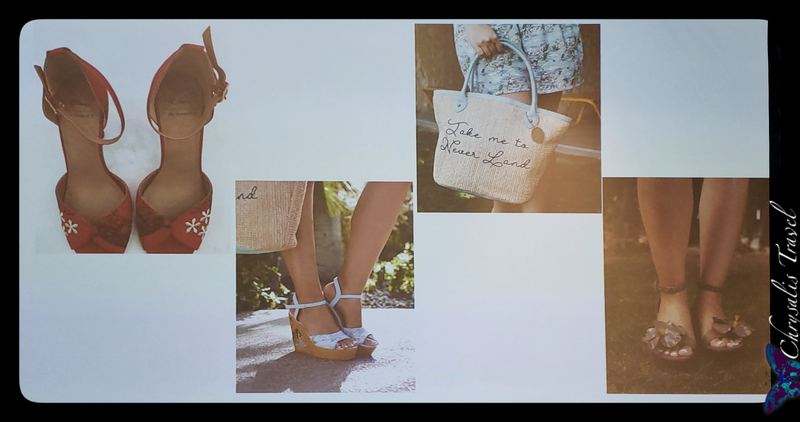 She described her creative process in constructing new fashions, as she brought Grace, Rose, and Lindsay to meet the Hot Topic and Disney licensing teams. It’s a complicated balance, involving intellectual property and fashion research. It was remarkable, hearing each designer talk about their music choices, and sources of inspiration for each of their designs. Here’s a sneak peek of what you can expect. Grace Duval chose Ariel and Jasmine. Ariel’s theme is “Ready to Stand.” The collection features jeans with fish scale details and Ariel’s castle in a holographic print. The scalloped top has purple shell details. Holographic print shoes embossed with Ariel’s castle complete the look. Grace also designed an dinglehopper makeup brush set for Ariel’s collection. Jasmine’s design includes a crave-worthy flying carpet suede purse, with metal handle details. Rose Ivy chose Rapunzel and Tiana. Rapunzel’s theme is “Live your dream.” Rose incorporated the sun emblem around the dress neckline, since light was such a strong motif in the film. Rapunzel chased the light, but ultimately found that the light was within her, she explained. The dress features a lace-up back for perfect fit and ombré shading from purple to pink. Pascal earrings (that look like Pascal is sitting in your ears) and a Flynn Rider bag complete the look. Lindsay Orndorff chose Mulan and Moana. Mulan’s theme, “Warrior Reflection,” will come complete with “Mu-shoes” – Mushu high-top sneakers. It is a Ping-inspired leisure outfit, mixing both masculine and feminine elements. The sleeveless top has a hood, with armor and sword details. Mulan’s collection includes a sword-shaped makeup brush. Like Mulan, Moana also set off on an adventure to discover who she really was. Her collection will include perfume, and a Hei Hei bag with wacky eyes. The design task included creating clothing, shoes, make-up, and even perfume. Since each of these manufacturing processes work on a different time table, the complete Princess collection is scheduled to land a week before San Diego Comic-Con in July. 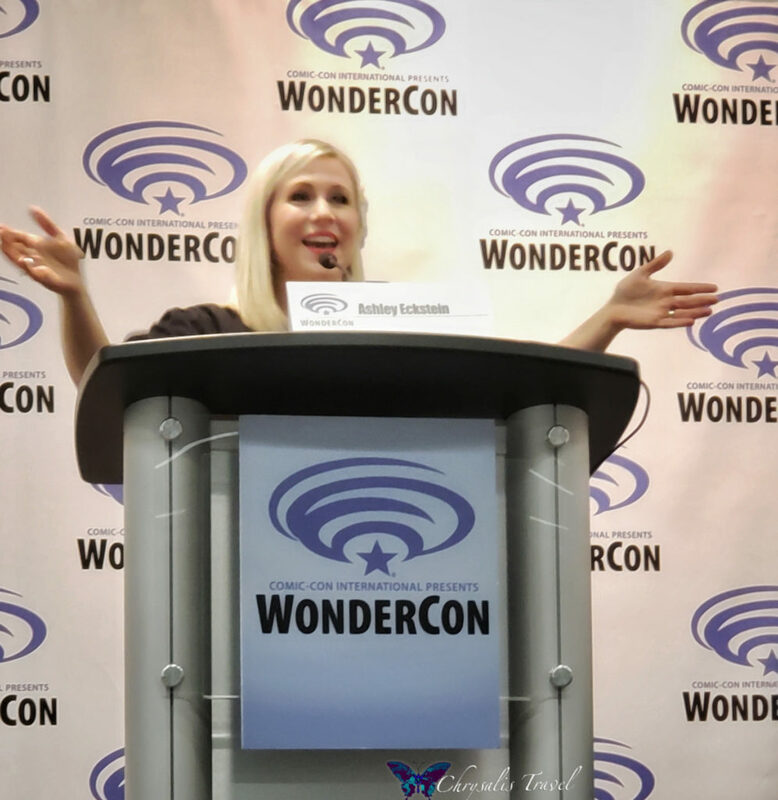 Since there has been so much interest from junior designers, Ashley hosted a junior design workshop at WonderCon. 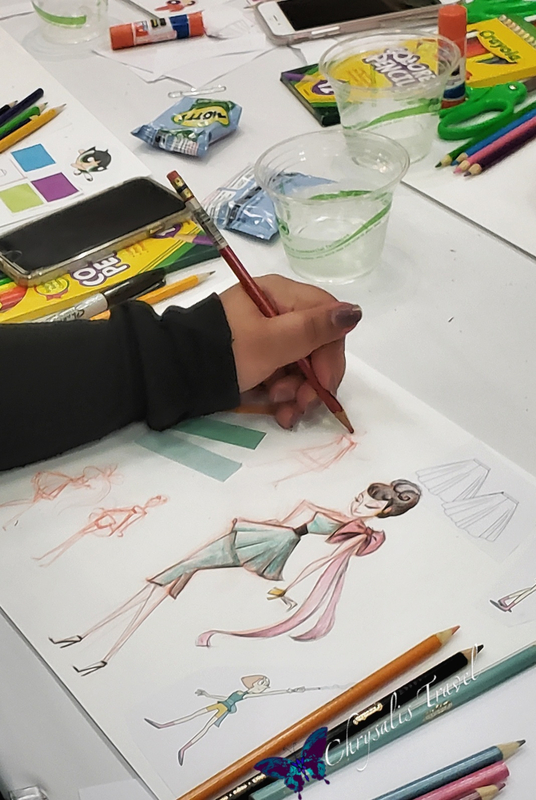 For the first time, there will also be a Junior design contest during intermission at the Fashion Show, hosted by Cartoon Network. Calling all dreamers and doers out there. 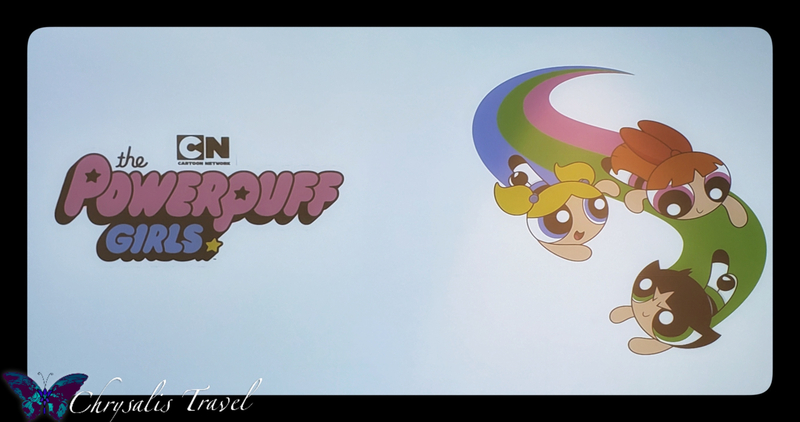 Hope you enjoyed this sneak peek of Her Universe’s new fashions. Get your designs ready for the Her Universe Fashion Show coming this July! We’ll see you there!